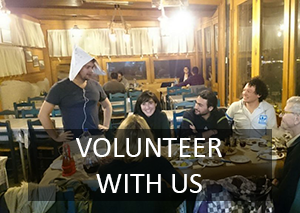 Legal Centre Lesvos is a team of lawyers and legally trained volunteers from across Europe, providing assistance on legal matters to refugees of Lesvos (Greece). We provide help on asylum applications, relocation and family reunification, as well as giving information and advice on any other legal issues refugees residing on Lesvos may have. Carlos is the International Co-ordinator of LCL. He is responsible for helping to coordinate the work of the legal centre from abroad and returns from time to time to help with work on the ground. A solicitor from London, he worked for years as a criminal and extradition law consultant before leaving his job to volunteer in the Calais Legal Centre at the beginning of January 2016. Having seen the lack of legal information refugees had received by the time they had reached Calais, Carlos travelled to Lesvos in August to help set up the Legal Centre which could assist refugees at the beginning of their journeys into Europe. Natasha is a Greek lawyer providing legal support and advice in Mosaic Centre for asylum seekers by preparing their interviews and filing appeals and/or any related issue as family reunification, relocation, filing objections against detention, actions before the authorities etc. She has prior experience having worked as a freelancer in Athens in that field and as legal aid provider through the ministry of justice. As a fully-qualified greek lawyer she is the focal point of the legal work we provide. 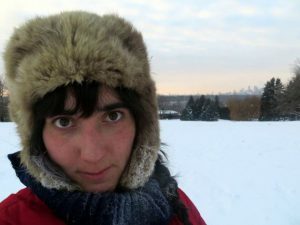 Lorraine is an attorney from the USA, who has worked investigating and litigating human rights abuses of multinationals in Colombia, and advocating on behalf of Palestinians’ rights. 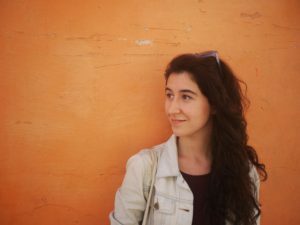 She joined the team in September, and is always looking for uphill battles, she is keen to expose and advocate against the systematic violations of refugee and migrant rights here in Lesvos. Norma is a French lawyer. She worked with Carlos in the Legal Centre in Calais for two months and has helped found and set up the Legal Centre Lesvos in August 2016. Due to her work in Lesvos and Calais, she knows the Dublin III regulation off by heart. She can become very geeky when it comes to discussing refugee law with the rest of the team. 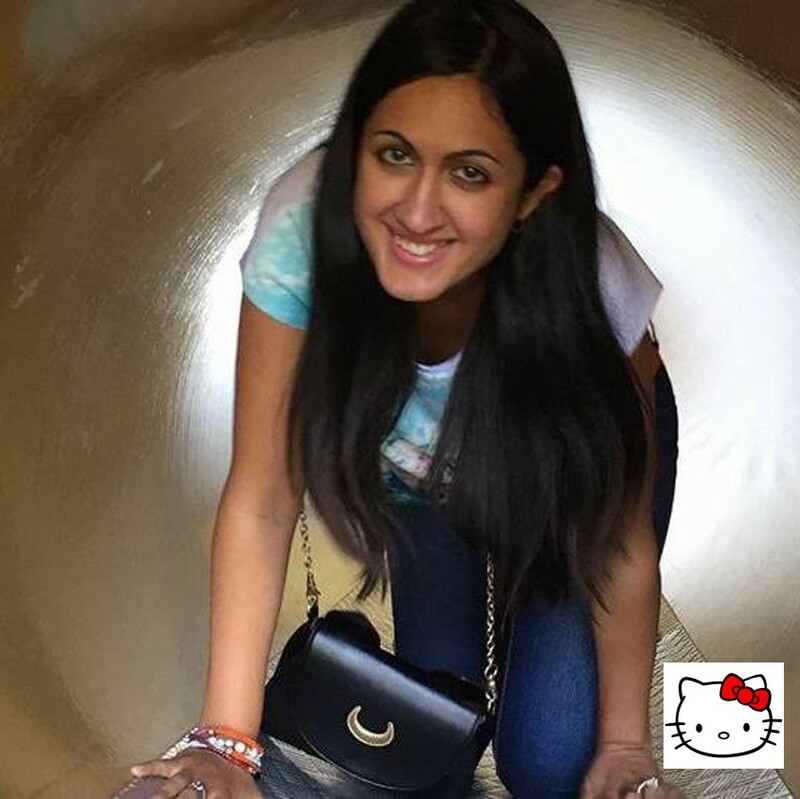 Laila is a marketing and strategic consultant based in London, who has previously raised significant funds for a number of charitable organisations. 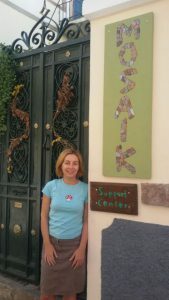 Legal Centre Lesvos is her passion and she would like every single person the planet to hear about us and support us. Her dream is for there to be no need for such institutions in the future but until then, long may LCL reign! NB. Laila loves Hello Kitty and will do her best to siphon her into all marketing communications. 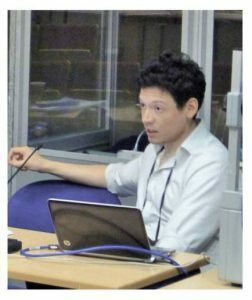 David is an IT, website and social media specialist who has spent time working on the Calais and Dunkirk refugee camps. 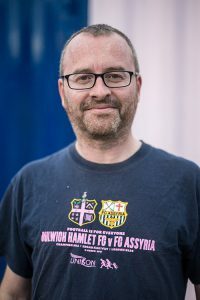 He is a board member of Dulwich Hamlet Supporters’ Trust and through his work on the board, has been involved in organising collections and fundraising for refugees through the football club.